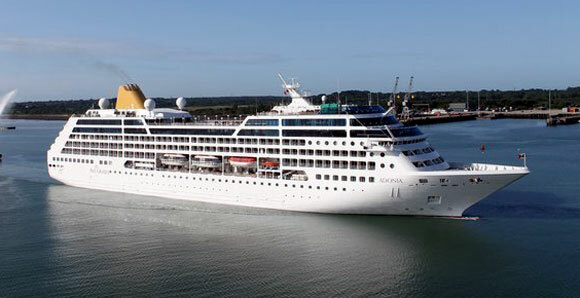 Cruise giant Carnival has been given approval to commence a series of voyages from the US to Cuba. They will be operated on the 710-passenger Adonia which is currently in P&O Cruises’ fleet, but which joins the new fathom brand next April. The Obama legislation is working to lift the economic sanctions that have kept a stranglehold on trade and travel between the two countries for more than five decades. Many restrictions are still in place, and Adonia’s visits to Cuba are possible only under an exception which allows educational and cultural exchanges. fathom was launched to provide “social impact” holidays giving passengers the opportunity to help out with volunteer projects in the Dominican Republic. These will begin next April, and it is now hoped that by May 2016, Adonia will be able to alternate week-long cruises to the two different destinations. MSC Cruises, which has announced it will be basing its 2,000-passenger ship MSC Opera in Havana this winter, is able to do so because the vessel is not registered in the US and will not travel from Cuba to a US port. Launched on 4 June as Carnival Corporation’s 10th global brand, fathom is designed to enrich the lives of its travellers and in the case of the Dominican Republic, drive sustainable social impact on a significant scale. The brand expects to attract 37,000 annual travellers who collectively could spend a total of more than 100,000 days a year either volunteering or immersing in educational and cultural exchanges in local communities. “We are excited about receiving U.S. approval as the very important first step to ultimately take travellers to Cuba under the existing 12 criteria for authorised travel. We look forward to working with the Cuban authorities for their approval to help make the social, cultural and humanitarian exchanges between U.S. citizens and the people of Cuba a reality,” said Arnold Donald, President and CEO of Carnival Corporation. It’s also likely to be a profitable enterprise: fares for seven-day cruises from Miami to Cuba start at $2,990 (£1,940) per person, almost double the $1,540 (£1,000) cost of week-long cruises to the Dominican Republic.